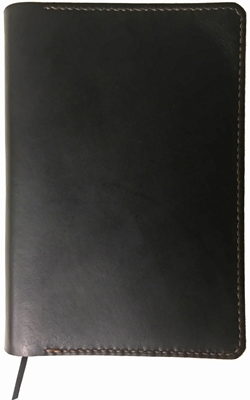 One Star Leather Goods in California makes this black cover with black thread by hand. Even the stitching is done by hand. The leather we have selected is Horween's Chromexel leather. One leather bookmark is stitched in at the top of the spine.